Unlike many residential maid services or commercial cleaning companies, Wifesavers will confidently and happily take on floor cleaning projects of all sizes. From tile to carpet to hardwood, we can assist you with all your floor cleaning needs. As your Macon floor cleaning specialists, we will work with you to leave your home sparkling clean, down to the very last corner of your floor. One of our specialties at Wifesavers is assisting homeowners with hardwood floor cleaning. Understanding that wood floors require a special touch and true expertise, we only use those techniques, products, and materials that have proven to deliver incredible results. From properly preparing and cleaning the surface to buffing your floors to an incredible sheen, each step of the hardwood flooring cleaning process has been meticulously designed to ensure safety, satisfaction, and affordability. Upholding the rigorous standards of the Maid Training Academy, each wood flooring specialist at Wifesavers is skilled at protecting your hardwood floors. Waxing and buffing every slat to a beautiful shine, we guarantee unparalleled workmanship. 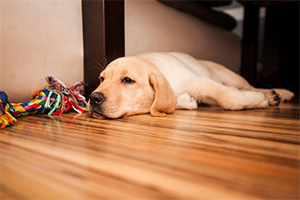 You can have even the dingiest wood floor restored with the help of Wifesavers. Our cleaning team guarantees satisfaction. Whatever your floor cleaning needs are, we invite you to reach out to our team to schedule services today. We look forward to being your trusted Macon floor cleaning team.